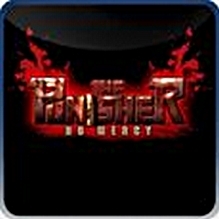 “THE PUNISHER: NO MERCY is a first-person shooter set in the Marvel Universe, available exclusively for the PlayStation®Network on the PLAYSTATION®3 computer entertainment system. Powered by the latest version of the Unreal Engine, it offers frantic, arcade-style shooting action with a heavy focus on multiplayer modes, supporting up to 8 players online. Your goal is simple – survive the grim world of THE PUNISHER: NO MERCY. Choose your avatar from eight unique characters, from the Punisher himself to his sworn archenemy, Jigsaw. Assemble your arsenal from a wide range of weaponry and almost superhuman abilities. Use cover and power-ups to your advantage. Seek out and destroy any opposition either on your own or with teammates.